Next GSS cIRcle Open Scholar Award winner could be YOU! 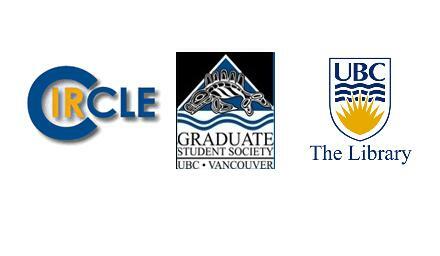 Currently registered as a UBC Vancouver graduate student? Completed at least one (or more) exemplary non-thesis graduate manuscript(s) or project(s)? Faculty or course instructors encouraging you to showcase your non-thesis graduate work to community partners and industry leaders? If you answered “Yes” to any (or all) of the above, you are eligible to enter the GSS cIRcle Open Scholar Award lottery-style draw – each Award is valued at $500. But what if you already submitted eligible non-thesis work to a different cIRcle collection? Then, let us know immediately at: ubc-circle@lists.ubc.ca and we’ll map it into the Award collection for you. While students can submit their non-thesis work to cIRcle at any time throughout the year, the next Award submission deadline is March 25, 2015.